Pat LaFrieda’s first introduction to the meat world was in the summer of 1981, when he was just ten years old and learning the tricks of the trade at his father’s butchering business. Thirty years later, Pat, his father, and cousin own and operate New York City’s most prestigious and valued meatpacking facility. Pat LaFrieda Meat Purveyors supplies the finest restaurants in New York City, Philadelphia, DC, Las Vegas, Miami, Chicago, and more. They also operate four retail locations at Citi Field—home to the New York Mets—including two Pat LaFrieda Original Steak Sandwich stands, a LaFrieda Meatball Slider stand, and the sit-down restaurant, Pat LaFrieda Chop House. In 2014 they became the "Official Burger of the Mets." Pat has appeared on countless national TV shows including Today, The Chew, Rachael Ray Show, CNN, Anthony Bourdain: No Reservations, and Martha Stewart. More information can be found at www.lafrieda.com. “A celebration of Pat’s enormous skill set, his encyclopedic understanding of meats and their various cuts and how to best use them. Butcher extraordinaire!" 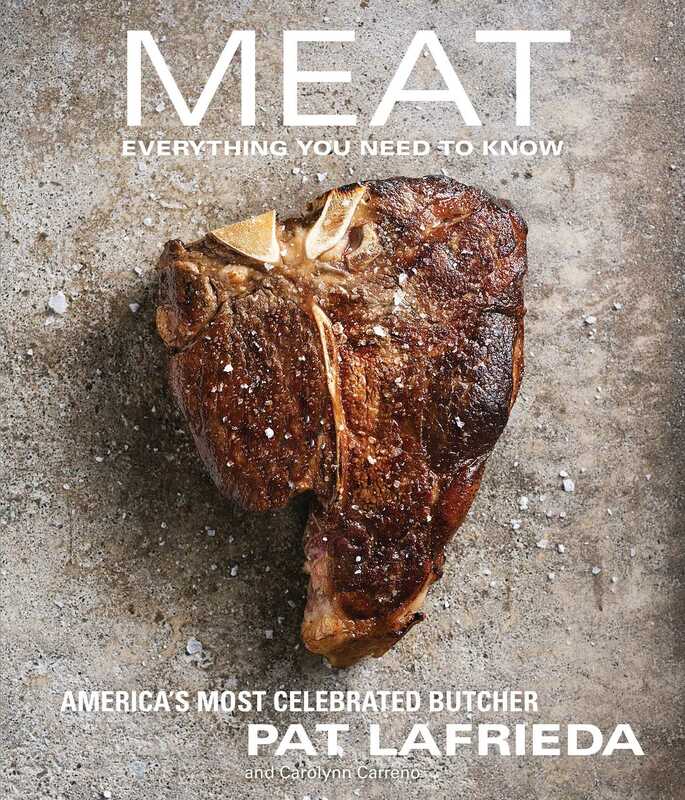 “If you want to know about meat, go straight to the meat man: New York City-area butcher Pat LaFrieda has released his meaty magnum opus." "New York City's ultimate butcher, the man behind the famous LaFrieda burger blends, penned the definitive cookbook on all things meat."